The bursary was awarded to Maria Mitris of Pacific Reef Fisheries to undertake a personal development opportunity with respect to the marketing of seafood products. Maria completed the Agribusiness Executive Program which comprises of training modules in marketing market realities, successful leadership, tools and skills and insights and opportunities. 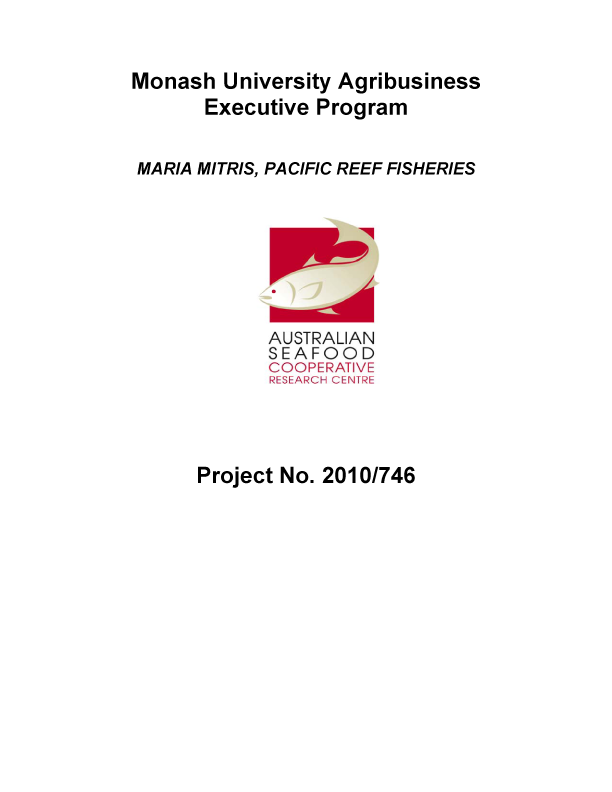 As part of this training, Maria developed a point of differentiation for Pacific Reef Fisheries in the completion of the Pacific Reef Story DVD. This has been applied to the company's product packaging and being used for marketing, not only for their signature prawn range but their new sustainable Cobia product.